It’s getting harder and harder to teach children generosity, but Miss Pinkeltink’s Purse is a great book you can read with your child as you talk about being generous. From its humorous opening through its sad midpoint and uplifting end, Miss Pinkeltink’s story shines a light on humanity. This story with children as agents of positive change reminds us again that communities are best known by their treatment of the disadvantaged among them. 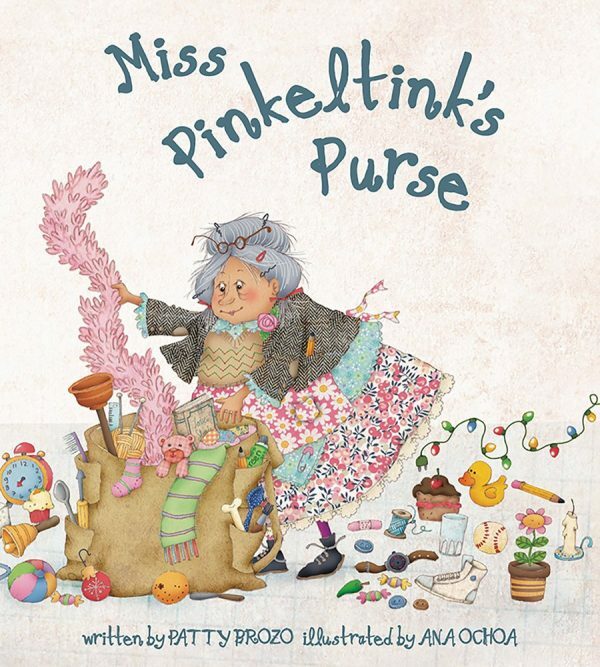 Generous and eccentric, Miss Pinkeltink fills her huge purse with everything from a toilet plunger to roller skates, and then gives it all away. She offers tape to fix a flat tire and a bone to a kitty: Miss Pinkeltink’s gifts never quite hit the mark, / but she gave what she had, and she gave from the heart. And then, with nothing left to give or to shelter herself, she huddles on a park bench, trying to sleep in the rain. And that’s where Zoey sees her from her bedroom window and knows that something must be done. Miss Pinkeltink’s purse holds a lot. In fact, it holds everything she owns. But does that stop her from being generous? No! If she sees someone in need, she tries to help them by giving them what she’s got in her purse. Her gifts are well intentioned though it might not be quite the right thing the person needs. When Zoey sees Miss Pinkeltink sleeping outside in the rain, she wants to be generous back to Miss Pinkeltink. 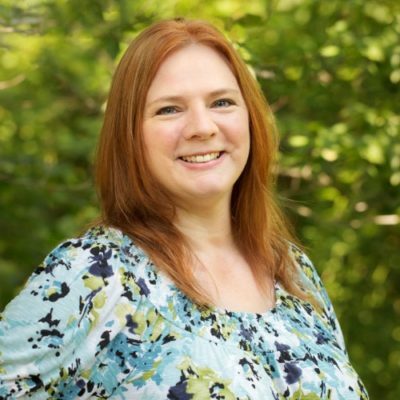 Though she’s not quite sure how it’ll work, she gets on the phone and enlists the help of people in her community. They get together to help Miss Pinkeltink. I love how this book uses a sweet yet sad story to teach children generosity. We can’t shelter our kids from all the sad things in the world. Unfortunately, it is the world in which they’ll grow up. There are over half a million homeless people in the United States. That’s half a million to many. By teaching our children to be giving and that it’s better to give than to receive, we are doing them a great service. I think this is the perfect book to teach children generosity. Sit down and read it with them. Look at the beautiful illustrations. Explain to them the concept of homelessness. And show them, by your own generosity, that giving is a beautiful thing. The back of Miss Pinkeltink’s Purse contains several organizations started by children that help people in need. Who knows? Your child may be the one who helps end homelessness!